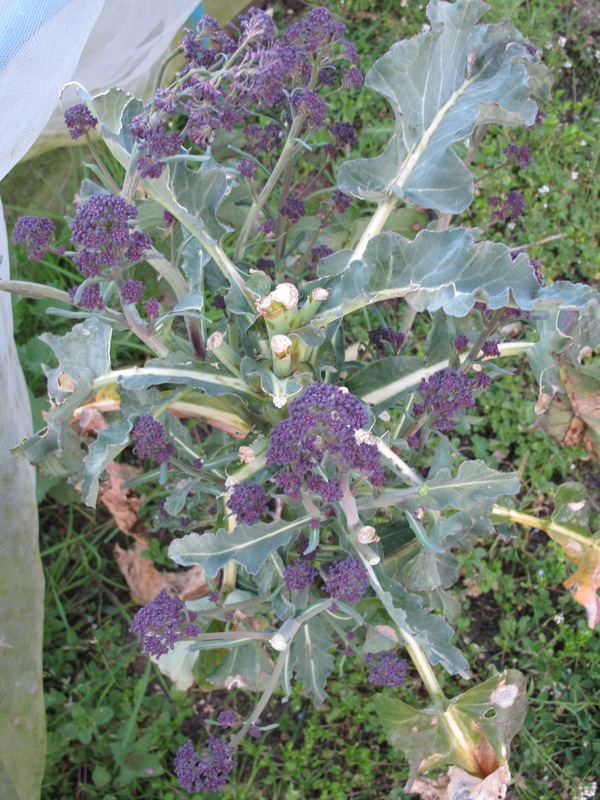 When the cabbage white caterpillars don’t eat all of our brassicas we also eat purple sprouting broccoli a lot in the spring. Last summer greed got the better of me and I planted too many psb plants under my enviromesh. When they grew they raised the mesh and there were gaps around the edges which let the cabbage white butterflies in (we garden organically so don’t use sprays or chemicals). Despite furiously picking caterpillars off the plants most of the plants got eaten beyond saving. We were left with three and have had some meager pickings from them this month. Another lesson learnt: only put a few plants under the mesh and make sure it is carefully pegged down. So tonight we had my version of Ottolenghi’s Mee Goreng from his book Plenty. We make this a lot – the vegetables change depending on what is in the garden. Fry the leeks gently in oil in a wok. Add in par-boiled purple sprouting broccoli, and mangetout and fry a little longer. Mix together soy sauce, ketchap manis, chilli sauce and spices – add to wok. Add in cooked noodles. Serve with lots of lemon juice on top. I tried to take a photo of the final dish, but I am rubbish at food pictures – something not helped by the fact that our house is rather dark because when we had it rewired we made decisions on the lighting in the middle of a sunny day. We think it is atmospheric rather than gloomy, but it isn’t very good for taking photos of your dinner! Had no clue Broccoli came in purple, that’s pretty neat…………. Hi Cathy, you can also get white sprouting broccoli. I have never seen it in the shops, but some old-school gardeners grow it on their allotments over here. My friend’s brother-in-law grows it and she has given me some – it has a slightly more delicate flavour than purple sprouting broccoli.